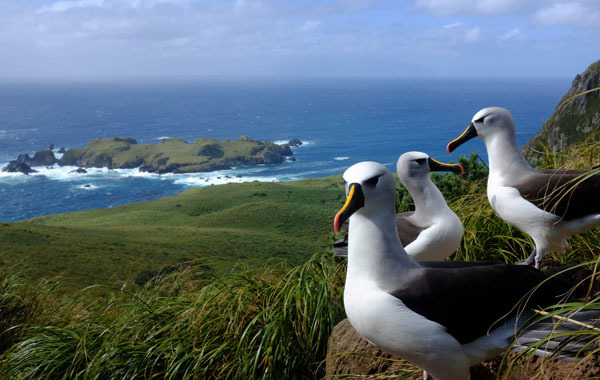 Michelle Risi has reported the first confirmed sighting on Gough Island of an Indian yellow-nosed albatross on Gough Island during field work on 17th January 2019. 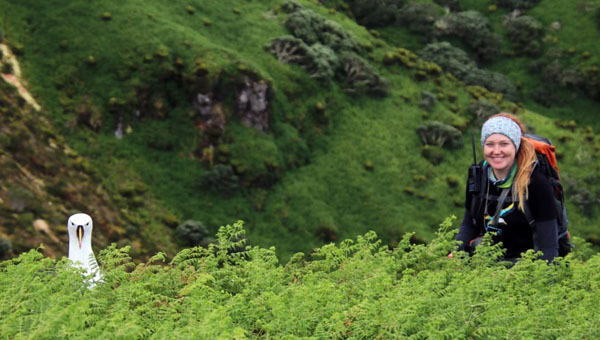 Previously the birds have only been spotted around Tristan da Cunha at sea. 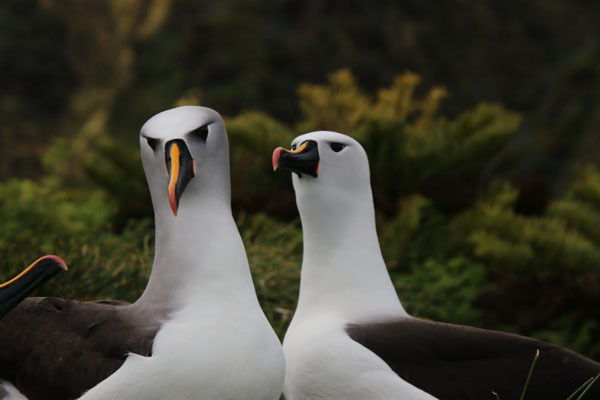 There are two sub-species of yellow-nosed albatross, defined by their region of breeding and by very subtle physical characteristics which make distinguising between the two very hard. 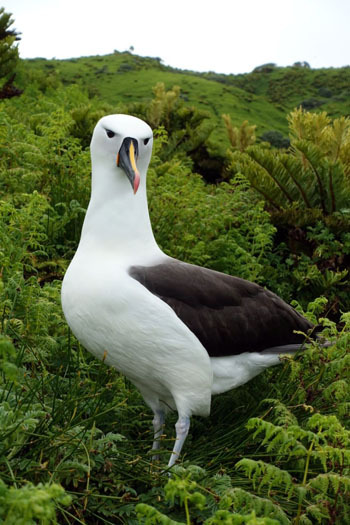 Well-known on the Tristan da Cunha Islands is the endemic Atlantic yellow-nosed albatross or Molly, Thalassarche chlororhychus. 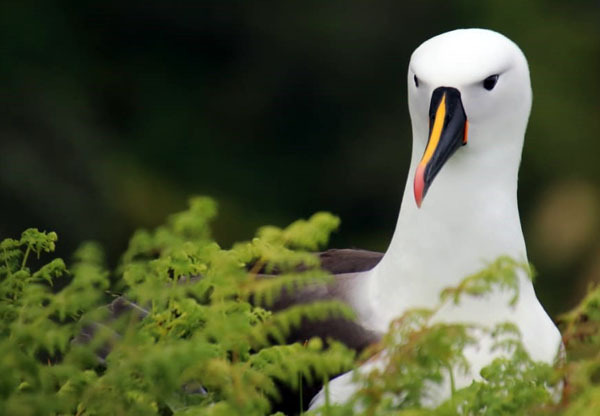 The Indian yellow-nosed albatross Thalassarche carteri breeds on the Southern Indian Ocean Islands of Prince Edward, Crozet, Kerguelen, Amsterdam and St Paul. Definitely not in the country of India! Those, like the Editor, who received these stunning photos on 18th January will need a detailed list of distinguishing features to identify the Indian yellow-nosed albatross from the ubiqutous Mollies that are seen flying and on the ground from August-April on Tristan, Nightingale, Inaccessible and Gough Islands and at sea. But it is likely that only trained ornithologists will spot the difference, and even then will want verification. In this case the sighting was verified by Peter Ryan, Director of the Fitzpatrick Institute of African Ornithology at the University of Cape Town. of the vagrant Indian yellow-nosed albatross. 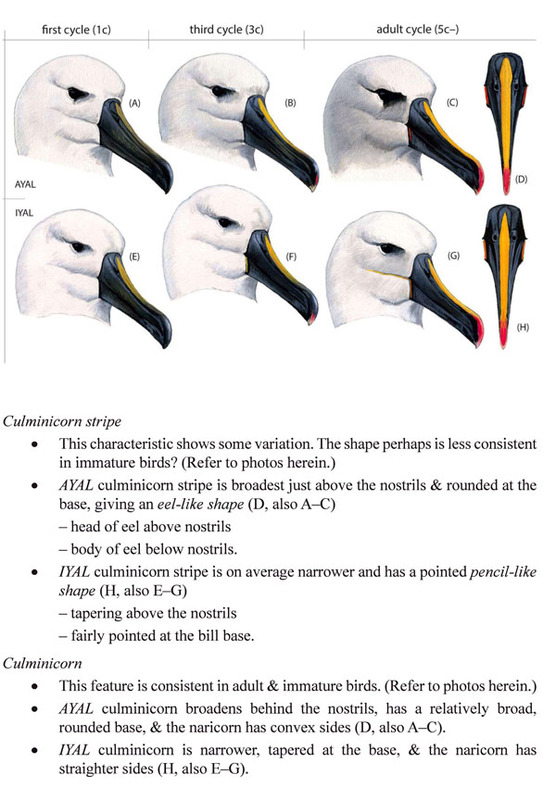 a page comparing Atlantic and Indian yellow-nosed albatross which is shown below. 3C is an older immature, and adult plumage is attained by the 5C. or Mollies on the slopes of Nightingale Islands' High Peak in December 2015. Middle or Alex Island can be seen offshore. Problematic for photo identification are the varied light conditions and the age of albatross being compared. It is likely that all these photos show young, non-breeding adults which have similar state plumage. We trust you can spot which is which?